Production. Willow Run bomber plant. 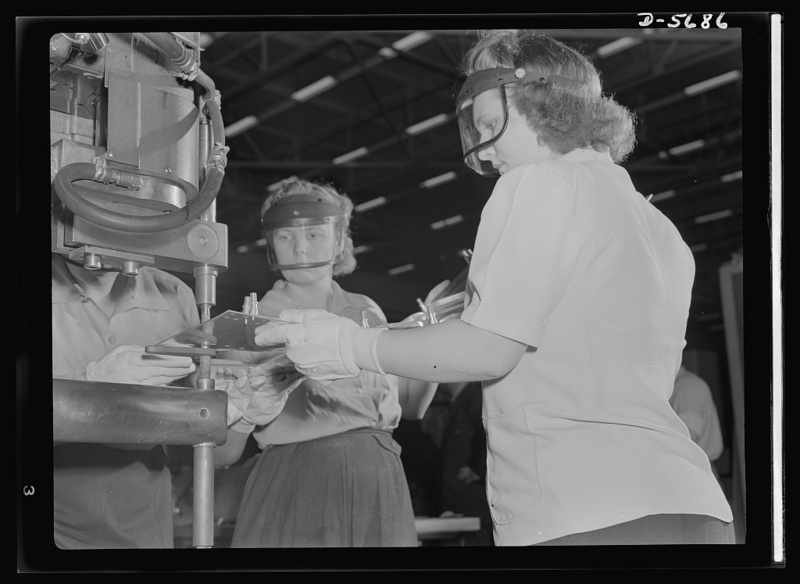 Working with skill and precision, these women operate a spot welding machine in the largest single story building in the world, Ford’s giant bomber plant at Willow Run, Michigan.